I found this recipe on Pinterest and made it last fall. Anything with apple cider makes us both happy so when I saw that this bourbon cocktail was made with apple cider, I knew I had to make it for him. It’s super simple and we had all the ingredients on-hand. Well, we BOTH ended up loving it and will be making more in the upcoming weeks. 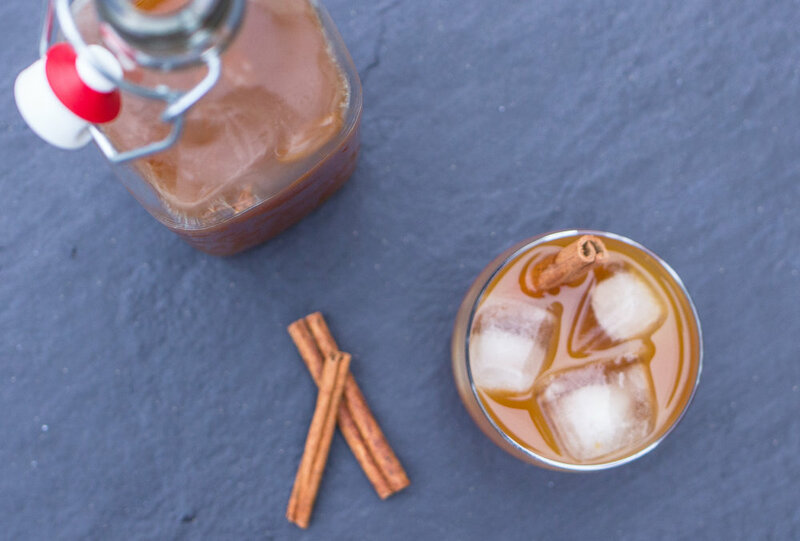 It’s literally the perfect fall cocktail. Cheers! *This recipe was adapted from Create Culinary.